"Thus the couple, while giving themselves to one another, give not just themselves but also the reality of children, who are a living reflection of their love, a permanent sign of conjugal unity and a living and inseparable synthesis of their being a father and a mother." Throughout his pontificate, Blessed John Paul II wrote often of the child, for example, in this statement taken from the Apostolic Exhortation Familiaris Consortio, in the Wednesday Catecheses on the Theology of the Body, and in his 1994 Christmas letter addressed to children. However, Todd David Whitmore, professor of theology at the University of Notre Dame, notes that while the Church has written much on the child in light of the family, and specifically on the question of procreation (for example, the encyclical letters Humanae Vitae and Evangelium Vitae), "there is no developed Catholic teaching on children" per se, "although the rudiments are scattered here and there." Whitmore suggests that theologians ought to think more deeply about the theological and anthropological significance of childhood, especially in light of the predominant market anthropology of "unrestrained economic liberalism" that subtly shapes our perception of children as "consumers" and "commodities." The Child in Christian Thought (2001) and The Vocation of the Child (2008) are attempts to fill this perceived lacuna in theology. 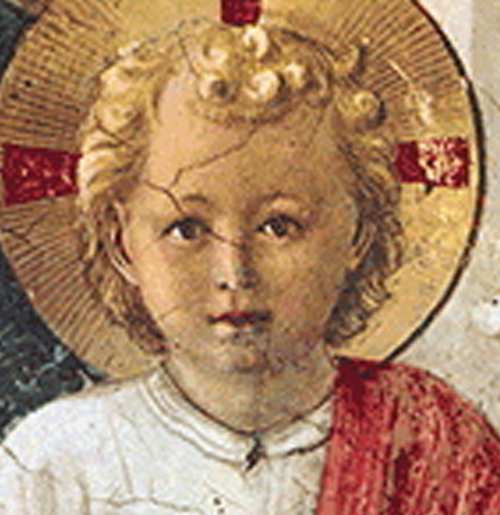 In these two independent collections of essays the unique relationship between childhood and Christianity is sympathetically explored by over thirty authors from a broad range of disciplines (for example, theology, philosophy, history, and canon law). Both books are the fruit of ongoing conversations about the uniquely Christian significance of childhood occurring among predominantly American scholars originating in "The Child in Christian Thought Project" (1998-2000) at the University of Chicago, directed by Marcia J. Bunge, and a similar project at Emory University's Center of Study of Law and Religion in conjunction with the Templeton Foundation in 2005, directed by Patrick McKinley Brennan. Recognizing that the current "crisis in marriage and the family" has a particularly devastating effect on the most vulnerable members of the family, the children, McKinley Brennan observes "that our society desperately needs the Christian religion's insights into the human and spiritual phenomenon of the child-needs, more specifically, to be invited to grapple with what the child is and what the child is called to become" (p. xi). The Child in Christian Thought and The Vocation of the Child launch a timely and challenging, if broad, proposal regarding the theological and cultural significance of childhood. While united in vision, The Child in Christian Thought and The Vocation of the Child differ in their intent and approach. Noting the current state of theological reflection on childhood, Bunge, the W.C. Dickmeyer Professor of theology at Christ College- Valparaiso University, begins with Whitmore's claim that in the Christian theological tradition "there is no well-developed social teaching on the nature of children and why we should care about and for them" (p. 4). In an effort to contribute to the development of such a teaching, she presents a series of essays that trace the development of the place of the child in the thought of seventeen significant theologians or schools of thought in the Christian tradition. On the other hand, it is the recognition of the impoverishment of contemporary "rights talk" in addressing the child (as exemplified, for example, in the U.N. Convention of the Rights of the Child) that spurred McKinley Brennan, the John F. Scarpa Chair in Catholic Legal Studies at Villanova University, to bring together the scholars in The Vocation of the Child. As an alternative to the predominant language of rights, he proposes instead that we address the child through the lens of vocation. McKinley Brennan hopes that the shift in mentality entailed in asking what the child is "called to become and to be" will open up new fields of inquiry across all disciplines. Marcia Bunge (The Child and the Bible, 2008; Children and Childhood in Word Religions: Primary Sources and Texts, 2009) has emerged as an authority in this new area of "theology of childhood" in America. The Child in Christian Thought is a collection of seventeen essays covering a cornucopia of time periods and topics related to the theology of childhood. This fascinating breadth of scope brings the reader from Augustine's struggle to articulate the nature of original sin and its relation to infant baptism, through the reading of childhood as a stage of undeveloped reason in the Middle Ages, to Schleiermacher's idealization of childhood as the form of the mature Christian consciousness in the eighteenth century, and finally to Karl Rahner's proposal that the child is paradigmatically "an infinite openness to the Infinite" in the twentieth century. The collection provides glimpses into the historical development of the Christian tradition's explicit treatment of childhood. However, the reader is not offered any reasons for this development. Why and how did the child go from being a symbol of moral depravity (Augustine) to a moral exemplar (Schleiermacher, Rahner)? Are the historical concerns in the tradition about original sin or the nature of reason and the will that cast childhood in a "negative" light simply irrelevant, in light of today's more positive notions? Or is this positive reading overly "romantic"? The reader feels the need of a more synthetic approach. There is an important clue to such an approach in Bonnie Miller-McLemore's essay on childhood in feminist theology. Whereas the other essays in The Child in Christian Thought look at the explicitreferences to childhood in a particular author or time period, Miller-McLemore is forced to note that feminist theology has not often addressed the theme of the child directly, obliging us to "read between the lines." The same probing of "past theological perspectives" would help to uncover the implied views of these theologians in order to bring them into dialogue with more contemporary views. To be fair, the essays on Schleiermacher, Barth, and Rahner do attempt to engage childhood at this level. But a serious engagement with the Trinitarian and Christological implications of childhood can be discerned only in the essays on John Chrysostom and Rahner. In this book, McKinley Brennan gathers together fifteen scholars from the fields of law, theology, philosophy, and history to reflect on the Christian contribution to childhood from the perspective of what the child is "called to." In this collection, vocation is generally understood as the "invulnerable, infallible call of God," and is contrasted to "fate." The book asks if children are merely at the whim of circumstances (poverty, broken families, war, etc.) or whether one can speak of a vocation that transcends these difficulties and all "worldly deprivation." The essays are divided according to four related themes: (1) the vocation of the child; (2) original sin and the freedom of the child; (3) the rights and duties of the child; and (4) the role of education in the vocation of the child. On the whole these essays are more scholarly and more reflective of the specifically Catholic theological tradition than The Child in Christian Thought. Also, while each article stands alone, it is clear there has been a conversation amongst the scholars themselves (judging from their references to each other's works across disciplines and perspectives), adding a certain richness to the collection. This partly compensates for the lack of a unifying theology of vocation. Despite the lack of a final conclusion, The Vocation of the Child offers many enlightening and well-argued essays. The Christian understanding of thinkers such as St Jean Baptist de la Salle (p. 357), is contrasted with that of John Dewey, and of those who seek the professionalization of education by the State (p. 352). Against the accusation that a religious education is merely "indoctrination" that does not respect the child's autonomy, Charles L. Glenn argues that education is never "neutral"; it is always an initiation into a particular way of understanding and engaging the world. To impose the ideal of individual autonomy may be itself be a form of indoctrination. Elmer John Thiessen takes this further. Showing the inadequacy of the Enlightenment notion of "autonomy," he proposes a more rounded sense of the word that "takes relationality into account." The Salesian model of education exemplifies this deeper notion of autonomy, in which the following of an "older brother" or authority figure is understood as enabling the student to become more himself. The cluster of essays addressing Augustine and Aquinas on the notion of the child are exceptionally well researched, and of value to anyone who would like to appreciate more deeply the place of the child in medieval thought. Philip Reynolds shows that for Aquinas, childhood was understood predominantly as a stage of deficiency in cognition. The humility, simplicity, obedience, and purity of the child were the results of a deficiency, a lackof reason. This is reflected in scholastic debates as to whether children in Paradise would have been born with full adult cognition, or if there was some positive value in the period of growth itself. Reynolds concludes by suggesting a more adequate notion of cognitive development "whereby the child's mode of cognition is different in some positive sense rather than merely muddled or inept," thus opening up "the possibility that the distinctive features of the child's mentality are perfections, at least in relation to that phase of life (p. 185)." McKinley Brennan moves precisely in this direction with the help of Jacques Maritain, the twentieth-century Thomistic scholar. Maritain considers the child existentially, that is, in terms of "the child's embrace of existence" received from God, the "divine plenitude who does not merely give [but] gives itself" (p. 192). Addressing the child in terms of its reception of Being leads Maritain to re-consider the predominant Thomistic account of the structure of knowledge, concluding that receptivity belongs not only to the way a child comes to know but also to the very structure of knowledge itself. Maritain was not the only scholar of the twentieth century to move in this direction. Hans Urs von Balthasar, Henri de Lubac, and Maurice Nédoncelle, for example, all perceived the importance of this original receptivity in knowing.